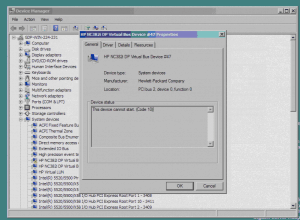 HP Network Interface does not start. I just installed two new HP ProLiant DL360 G6 with Microsoft Windows Server 2008 R2. Everything worked fine until I installed the HP Support Pack which includes Drivers and Firmware for the HP Server. I tried to uninstall the device and rebooted the server but this didn’t work. I had still the same error. After doing that you can rescan for new hardware and the system will find this adapter again and everything will work fine. 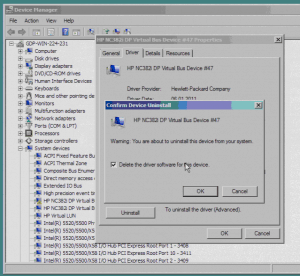 5 Responses to HP Network Interface does not start. Do you know what the underlying issue is? I am experiencing the same issue upgrading NIC driver to v6.2.8.0. 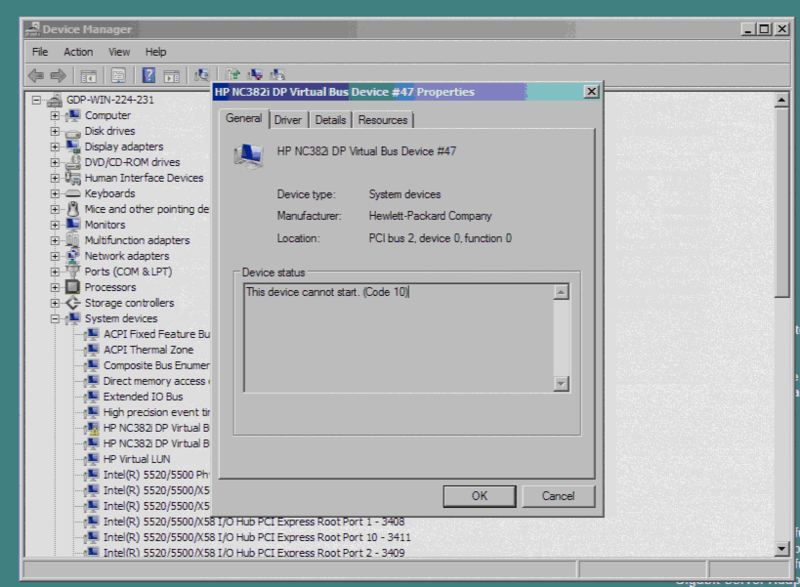 Driver upgrades fine but Virtual Bus device fails to start after reboot. Had the same trouble on two HP ProLiant BL460c. Installed O.S. on the first through the latest SmartStart, and second one was cloned. Your solution worked, but afted each reboot of any of the servers I’m getting the same warning in device manager, and NC382i network adapters dissapear from the corresponding tab.